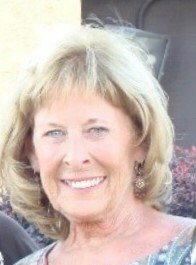 Dorothy Lee Neel, age 74, of Maryland Heights, Missouri passed away on Monday, March 25, 2019. She was born in Saint Louis, Missouri on September 21, 1944 to the late David and Dorothy Cooper (nee: Telken). Dotty is survived by her Loving Children, Jeffrey "Bart" Neel and Becky (Jeffrey) Sorrell, Grandchildren, Ashley (Sean) Gordon, Michael (Jodie Rae) Coonce, Kristina Neel, Andrew Sorrell, Alexis Sorrell, Kyle Sorrell and Jacob Sorrell, Great-Grandchildren, Kinlee Gordon, Kolten Gordon, Alexis Coonce, Isabella Coonce and Ethan Coonce, Brother, David George Cooper. She was truly loved and will be greatly missed by other family members and friends. She was preceded in death by her Parents, David and Dorothy Cooper; Son, Bradley Neel. Visitation will be held Friday, March 29, 2019 from 10:00 am until 11:30 am at Newcomer Cremations, Funerals & Receptions, 837 Mid Rivers Mall Drive, St. Peters, Missouri 63376. Funeral Ceremony will immediately follow at 11:30 am with Deacon Peter Gounis officiating. In Lieu of flowers Memorial Contributions may be made to the American Cancer Society in honor of Dotty. To share a memory of Dotty or leave a special message for her family, please click the Share Memories button above. Add your memories to the guest book of Dorothy "Dotty" Neel.